The recent IFA 2011 in Berlin, Germany had seen an innovation from LG, a mouse with scanning option. 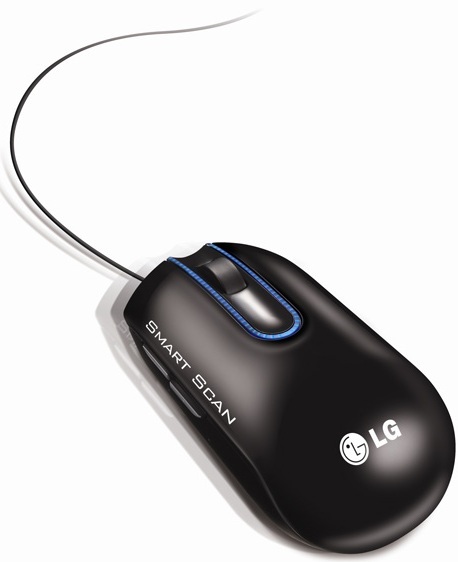 LG LSM-100 mouse features an ergonomic, comfortable design, with an accurate laser sensor which does the traditional job well. 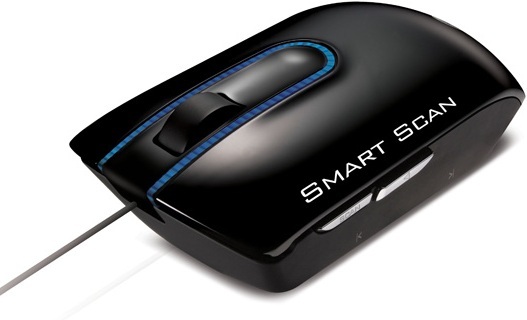 Scanning is simple, just Hold the Smart Scan button on the left side and swipes it over the document. Now save it as PNG, JPEG, TIFF, BMP, PDF, XLS and DOC, or dragged and dropped into the desired application. Finished as simple as it is. The LG LSM-100 is capable to scan page sizes up to A3 and it comes with LG’s Optical Character Recognition technology which convert scanned text into a Word document which can be edited. No word about when it is available or price. Tags: mouse with scanner built-in, LG LSM-100 mouse with scanner, LG LSM-100 mouse, LG LSM-100 scanner mouse, LG LSM-100 scanner mouse features, LG LSM-100 scanner mouse specifications, LG LSM-100 scanner mouse review, LG LSM-100 scanner mouse details, LG LSM-100 scanner mouse availability, LG LSM-100 scanner mouse specs, LG LSM-100 scanner mouse images, LG LSM-100 scanner mouse pics, LG LSM-100 scanner mouse pictures, LG LSM-100 scanner mouse price, scanner mouse from LG, scanner mouse, scannable mouse.